Riverdale Baptist's Diane Richardson took time out of her busy schedule to answer a few questions for 695 Hoops. We talked to Coach Rich about girls basketball in the area as well as the upcoming season and her future plans. 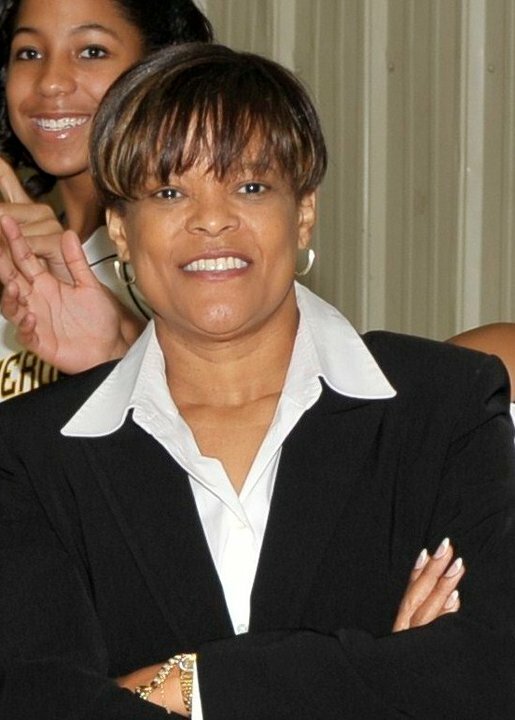 After spending time with one of the most successful AAU programs in the area as well as American University, the University of Maryland and two stops at powerhouse Riverdale Baptist, she is one of the most respected coaches in the DMV. 695: How do you feel about this year's team? Coach: To be honest, I have felt good about every team that I have had at Riverdale Baptist. We sit down with every student athlete and her parents to talk about our program and our expectations on and off the court. It is unique to have a team that shares common goals... spiritually, mentally and physically. That is something that isn't measured in wins and losses. 695: What do you think the challenges will be for this season? Coach: Our goal is to play on a stage where we can see where we measure up. I want my student athletes to be seen by college coaches, performing their best, against the best. Coach: I am pleased with the awareness of girls basketball in the area but not particularly pleased with the amount of skill development. Unfortunately because girl's basketball is getting a lot of attention, some athletes feel that they don't need to go the extra mile to sharpen their skills. In the early days, it took extra work and training to be noticed and ranked on a list. Today, there are so many lists that even some recreational players get ranked so there is no incentive. 695: Who are some players that people in the DMV should be looking out for in your opinion? Coach: There are so many players in this area. When I was coaching in college, I would always tell other college coaches that the DMV is a hotbed of talent. We have a higher concentration of players in a smaller radius. There is no need to bust the budget flying all over the country. There are plenty of players to be seen in a twelve -twenty five mile radius. I see players that are truly gifted and I see players that are smart enough to work on their game. 695: You've been involved in a successful AAU program. Is that something you would consider again? Coach: Yes, as a matter of fact, I will be coaching AAU this summer. I plan to coach a 16U team on the elite circuit. We will bring in the 14U, 15U and 16U for the elite circuit and have club teams from 9U-13U. Coach: Back in 1990 when Beltway Lady Cougars was formed, it was a group of high school coaches that got together to start an AAU organization. Not only did it bridge AAU and High School together, it was a breeding ground for up and coming coaches. I started out with Beltway on the Board of Directors, mainly because of my business background. The coaching relationships were so nurturing that High School coaches were spending time sharing their knowledge with every up and coming person interested in helping the kids. That's how I got my start. Walter Clark, now at Wise, and Eugene Couser, formerly at Central took me under their wings and showed me what passion for teaching the game was all about. I wasn't a high school coach or a teacher but they let me tag along and learn the game. My first team was a developmental squad that needed a lot of work. Clark and Couser let me watch their practices and they watched mine. Every step of the way, they laid out the do's and don'ts, the will's and wont's. Call me naive but I just don't see why there is animosity between AAU and High School coaches. I thought the game was about helping kids get better and getting them to go to college for free. I do this because someone took the time to teach me the game of basketball and helped me to use it to get a free education. If it hadn't been for basketball, I would have never been able to afford to go to college. That college degree and experience changed mine and my family's life. I will forever feel the need to give back. If I have resources that can help in any way, I will. 695: What do you do to stay sharp as a coach? Coach: I watch games, games, games. I listen to the commentary on college and professional games. I watch film every day. I go to coaching clinics. I started going to the NBA Finals & Men's Final Four with my husband in 1987. I have gone to at least two games of every top 25 Women's team the last 10 years. I have gone to the WBCA coaching convention and Women's Final Four 12 out of 14 years. 695: Who has influenced your coaching style and philosophy the most? Coach: Walter Clark gave me a solid foundation of when and why things happen on the court. He taught me how to make adjustments. Quentin Hillsman the current Head Coach at Syracuse taught me how to get the best out of my players. 695: Do you have any other hobbies/interests besides basketball? Coach: Yes, I like to cook. 695: What kind of music do you listen to? Coach: I like old school R & B and Contemporary Gospel. Coach: Yes, I have to wear a new suit for every game. 695: What do you think of Lebron signing with the Heat and why did he get such a negative reaction? Coach: I have no comment. What LeBron does is not on my goal list. "If I'm not working on my goal list, I'm wasting my time."